Jersey is the largest and best known of the Channel Islands. It is a dependency of the Island of Guernsey, is ruled directly by the British Crown, and is not subject to the British Parliament. The Channel Islands, for those who do not know are in the English Channel (La Manche), and are much closer to France than to England. They were evacuated during the German occupation of France in 1940, but re-occupied by the islanders in 1945. 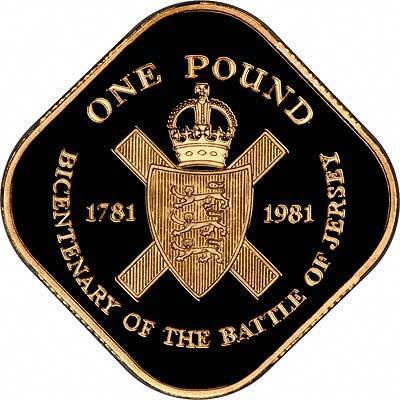 Jersey started issuing its own coins in 1841, so it has quite a numismatic history. 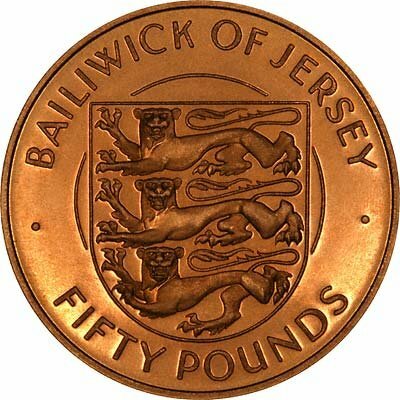 We usually have in stock at least a few Jersey coins. The mintage figures tend to be quite low, although perhaps this is to expected with a population of only about 85,000. In the short time for which Jersey had been issuing gold coins, it has made a variety of denominations. These appear to split into two series. 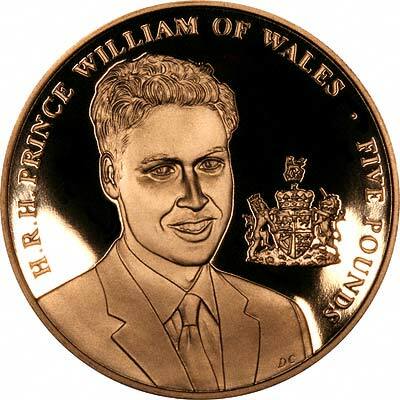 Large format two and five pound coins have been issued as gold proof versions of cupro-nickel commemorative crown sized coins. Another series starts with a small five pound coin and progresses through twenty five, fifty and hundred pound coins. We have added a new page for Jersey proof gold coin sets, and for the 1995 set. We make an active market in almost all coins, including Jersey coins. If you have any of these coins to sell, please contact us, or post them to us for appraisal and offer. 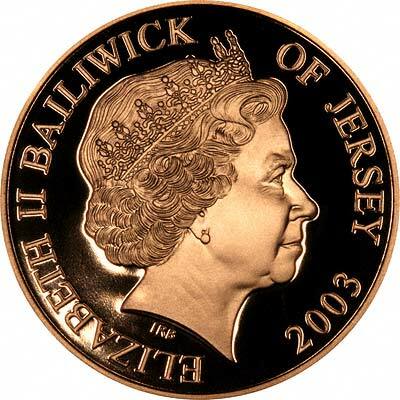 For Jersey coins in silver or base metal, or Jersey coin sets other than gold, please look at the Jersey Coins page of our original website.